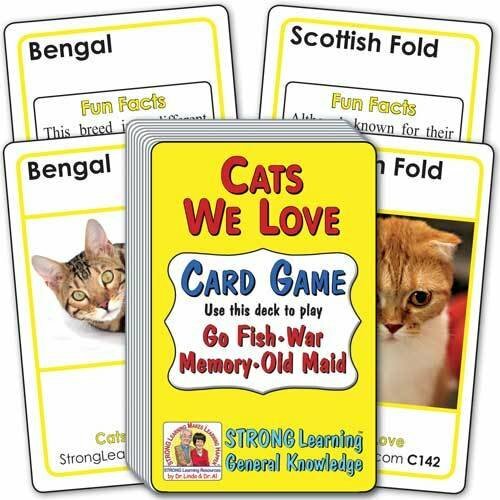 Learn about Cats We Love while playing popular card games. Matches are two cards with the same cat breed written at the top. One card of each matching pair shows a picture of the cat. The other matching card has some Fun Facts about the breed of cat. A Great Value! As with every Strong Learning card game, play any or all of these matching games with the same deck: Go Fish, War, Memory and Old Maid. Everything is included. Ages 7 through adult.